One step ahead, made especially for the exhibition, By This Unwinking Night (2012), features a cast tailed and feathered running through Janet Leeper’s English Ballet. 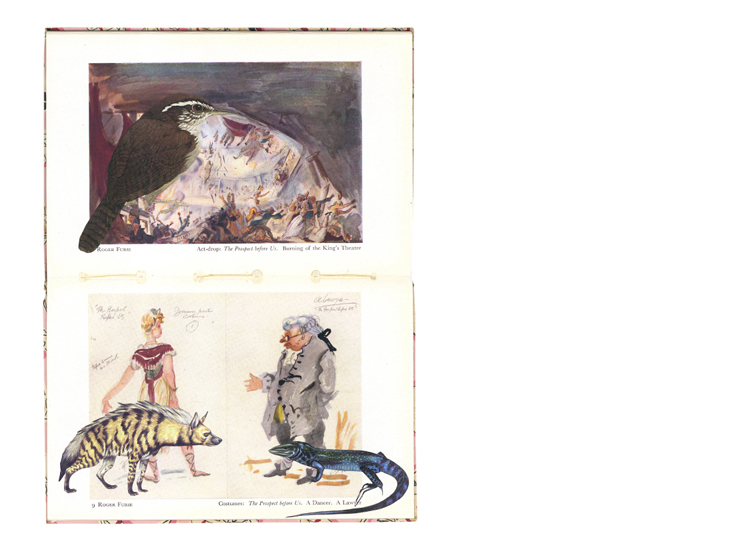 In its true and original guise, English Ballet was first published in 1944 featuring 16 colour plates. It is the twentieth book in the King Penguin series, and one of a growing handful modified. 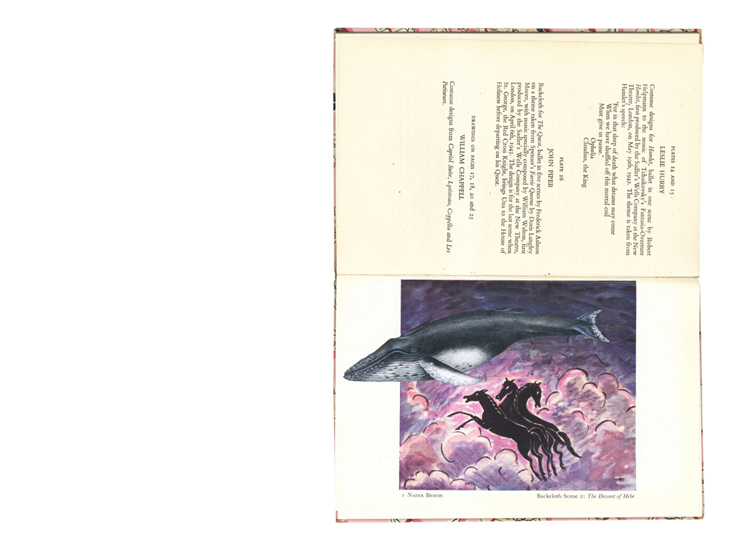 One step ahead in its equally true state replete with menagerie winged and clawed and roaring is an original artists' book made in 2011–2012. Other King Penguins to have been modified by the means of collage include A headdress to show you how much I care; This is where the dormouse lives; Testing the laws of hazard; and The first aerial travellers. The entire series of King Penguins thus far is in the collection of the State Library of New South Wales.